No matter the type of lost keys, there is a way to get your door back open. For the sake of practicality, we will be focusing on the general information that will help the average person get their door open. Lost keys will mean more than just being locked out, but getting your door open will be the first step to taking care of the issue. Start by being able to enter the car, home, or building, then you can worry about the other access concerns brought about by your lost keys. When you have lost keys, getting back into your home can be a hassle. When I locked myself out of my house back in the day, I tried everything to get back in. But for the sake of simplicity, I will focus on some of the most common and simple ways to get your front door back open. Of course, everyone locks their home differently, so these tips are meant for success for the most general circumstances. If you want to use expert techniques to open your locked door, you should call a locksmith. These methods are accessible to anyone with any skill level, so don’t fret about your lost keys until you get back into your home. Home lockouts resulting from lost keys for your house have a better chance of being available. If you are not a homeowner, then your property manager, super, property owner, etc., likely has a key of their own. In the case that you are the sole owner of your property, think back to a vacation that you took, or a work trip that you went on. If someone was house sitting, feeding your animals, watering your plants, collecting your mail, or otherwise stopping by, did they ever return their key? It is good to have one house key in the hands of a trusted neighbor, but if this is not possible for whatever reason, perhaps a family member has been given a spare key at some point. Did you leave a spare key somewhere for this reason? If you have hidden your house key well, it should still be where you left it. There is no need to dwell on this way to open your door when you are dealing with the fallout of your lost keys. If you have never given anyone a spare key to your home, move on to the next best method of entry. There are more ways into a home than just through the front door. Lost keys only matter if every opening to your home is locked. Looking for alternate methods of entry means going around the home and checking windows and other perimeter doors. This is not meant to be confrontational, but having lost keys should indicate that you can be forgetful. There are things that everyone forgets to secure, but every once in awhile one of those things is a window or back door. Just take a lap around the house. Try the doors and the windows. Be aware that windows and neglected doors can stick, so trying some finesse is always best. Do not force anything as you could break doors and windows, and those will be more expensive as repairs or replacements are the most expensive services relating to lockouts from lost keys. 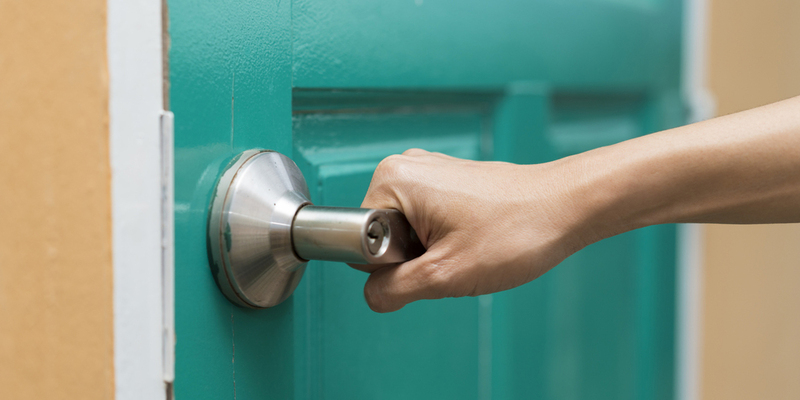 It might sound like alternate entry, but going around the door means that you are physically circumventing the door to reach the lock on the other side. It is more similar to some of the methods of getting back into a locked car. You can slip a tool through a gap and manipulate a thumbturn on the other side of the door. If there are any windows, use them to see how you are doing. When there is a double sided deadbolt that has been locked, something like this will not work. If your front door does not have a large enough gap to fit a tool through or uses a certain type of lock that you cannot manipulate, combine this method with the alternate entry. Go around the perimeter of the home and see if there are any easier doors or windows that you can get open. Something like a coat hanger might have the right size to finesse through an opening, but if it is too flexible, then you will not be able to apply the necessary torque to the thumbturns and other actuators. Calling a locksmith is a fast and effective way to solve any issues centered around lost keys. To open your doors they can get around almost any level of protection that is keeping you out. Even if you are using all of the best methods to secure your door, a locksmith excels in security penetration. When you contact a locksmith, they may need to use destructive entry, but having a locksmith drill your lock will be safer than you doing the work yourself. They can also replace anything that needs to be removed or demolished. But they will also have things like bump keys and the necessary lock picks to open the door, so it is not likely that you will need the most severe and expensive method of professional entry. When trying to open potentially locked doors, applying too much force will damage anything you are interacting with. It may be too difficult to find something with the proper rigidity and dimensions to manipulate your interior thumbturns for door locks and the like. Trying professional methods of entry yourself untrained increases the risk of incurring unneeded damage and strain on your security. When you are trying to open your car door after realizing the ramifications of your lost keys, the main thing that you want to try is to manipulate the manual door locks. Depending on the make and model of the car, the locks will either be a post or switch type. But before those options, be sure to take a gander at the section about locating your spare key. If none of that works, you can investigate how much it costs to unlock your car. And always remember that when it comes to cars, lost keys mean more than locked doors. Even if you get the door open, you will still need new car keys to start your vehicle. One of the most important reasons everyone needs a spare car key is for instances of lost keys. This is also one of your best options because once you have the spare key that you lent out, you can also drive away in your own car. It is important that you contact the person who has your spare key and see if they can come to your location and deliver it. But something like this will not be possible if you have lost your car keys and have no spare. Regardless of whether or not you have placed the spare key in the hands of a competent individual, they could be unavailable when you lost your car keys. Lost keys don’t become lost in at the most ideal times. You might be on a road trip, the person with the spare car keys could be out of town, or a whole host of other problems could prevent your car keys from getting back to you. Try to get your hands on your spare car key, but if you can’t, don’t worry, there are more things you can try. With lost keys, you hope that you are dealing with a post lock. Post locks are the easiest to work with because you just need to loop them and pull them up to unlock your door. You can use shoe laces tied into a slip knot and work the thin rope between the door and the frame. Keep one side of the rope in each hand. Place one hand at the top of the door and the other along the side, and then try to slip the lace around the post. You can also get a wire that can hook the post. Once you have your tool around the post, you pull up and to the side to keep the tool from coming loose. I would not recommend using something like a slim jim to unlock your door by manipulating the internal components of the door. When you slip one of these kinds of tools into the door between the window glass and weather stripping, you run the risk of dislodging wires and disturbing important connections. Also be aware that widening the gap between the door and the frame can damage the door or break the glass if done improperly. Try to get by with the smallest gap you can. This is similar to opening post locks, but when you’ve lost keys to a car that uses a switch, there are some further difficulties. The placement of the actuator can be difficult to reach, which will add to the general difficulty of moving the switch as desired. Why it is difficult in general is because the switch type of lock needs to be pushed, much like flipping a light switch. However, it does not have the shape of a light switch (which would make things a whole lot easier). For this door opening method, you will need a stiff and long prodding tool. If you cannot wedge open the door, then this tool will also need to be rather slim. Something like a wire coat hanger is unlikely to be strong enough to interact with the switch without bending. You also have to consider the smoothness of the switch, which may be curved so it is difficult to catch. Just stay patient, and if you can, have someone on the other side of the car to look through the window and guide you. As long as you call the right locksmith for your needs, you will be able to take advantage every service you could theoretically need. In the case of lost keys, you are going to want the locksmith to make you another set so that you can start your car. They will use unlock your car door with one of their professional auto lockout tools, and then they are at your disposal for additional work. You will have to factor in the cost of car key duplication, but that would be the case anyways, this just allows you to get the service you need more quickly. This is the best option because it also allows you to take steps to protect your vehicle against thieves who might find your lost keys. A locksmith can invalidate existing car remotes, change your car door locks, and generally protect your vehicle as they get you back on the road. Even if you open your car door, if the car keys are not inside, you cannot start the vehicle. If the person with your spare key is unavailable, your spare key is ultimately meaningless. Too large of a gap or leaving the door wedged for an extended amount of time will damage your car door. When your office keys are lost, the ensuing office lockout, this can create a strain on your business. On the positive side, when you have lost keys to your office there is the greatest chance of finding someone with a spare. Because commercial buildings are likely to use higher security than homes and automobiles, you should stick to tracking down available keys and contacting professionals. I will break down the main two ways to get your hands on a replacement set of keys, as well as some tips for hiring a professional who can deal with commercial security. 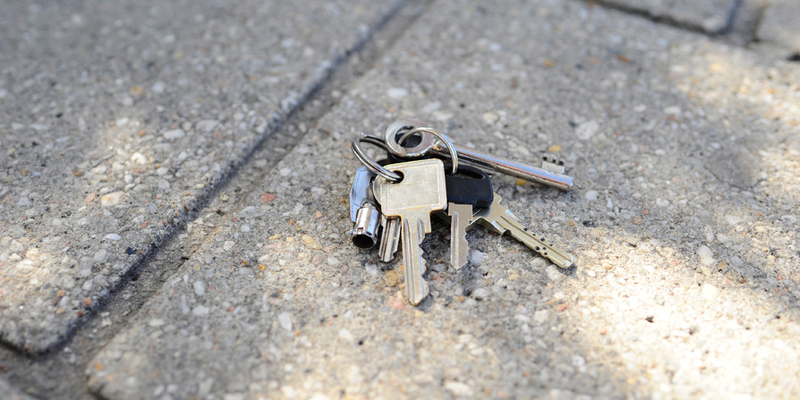 One of the most sure fire ways to get back into your office when your issue is lost keys is to call your building manager. If you have the number of your property management company, give them a call and see if they can have someone swing by with a spare key. Often they will have someone on call for these types of emergency situations. You might know better than to bother your property management company if they have a history of inattentive service, but it is a good place to start. Your property manager might also send a locksmith over that they subcontract to if they cannot locate a set of keys and have them to you within an acceptable time frame. But if servicing is required for a lock, they are going to want to be kept in the loop. If the lock has to be drilled or otherwise replaced, that is something that your building manager will want to be made aware of, so they might opt to be in control of the whole process. If you work with several other employees, there are likely to be other keys besides your lost keys. In the instances where nothing comes from reaching out to your building manager, you can conduct a quick key inventory to see who in your workforce has a key. This might mean that you need to call someone to come back from lunch early, or even stop by on their day off. Be sure to compensate those employees who you are inconveniencing. It is never advantageous to take an employee for granted, but it is a worse idea to make someone who has a key to the office feel slighted. Because your lost keys are the reason for inconveniencing people, you might feel a little defensive and even refrain from reaching out to anyone out of fear of being chastised for your mistake. Be sure to apologize and don’t feel too guilty to the point where you choose not to solve the problem rather than taking responsibility for your mistake. If the responsibility falls on you to contact a service professional, you might be put in an unfamiliar position. When you need a locksmith for commercial security help, be sure that you invest in the proper company. The key that needs to be replaced could be high-security or you might be having to contend with a variety of commercial door lock types. These lost keys have the potential to cost quite a bit to replace, but getting the door open is probably going to take a bit of skill to get open. Depending on the hours of operation that you building keeps you will have to consider the typical costs of a 24-hour emergency locksmith. In the case of stores and restaurants that need to be opened early in the morning, a locksmith might be the only one available to help you in your lost keys predicament. Security for commercial buildings is likely to be more difficult to work around than residential or automotive security. A building management company might have a track record of not responding or solving issues efficiently. A locksmith needs to be trained with commercial door locks in order to give you the service that you need. Always start by trying to solve an issue with lost keys by trying to get your hands on a spare. Stick to the simple lockout solutions when you are dealing with lost keys. No matter what you end up doing to open your door, have a way of replacing your lost keys so that you don’t have this problem in the immediate future. Calling a locksmith is always an option. And in many cases, it is the best option.